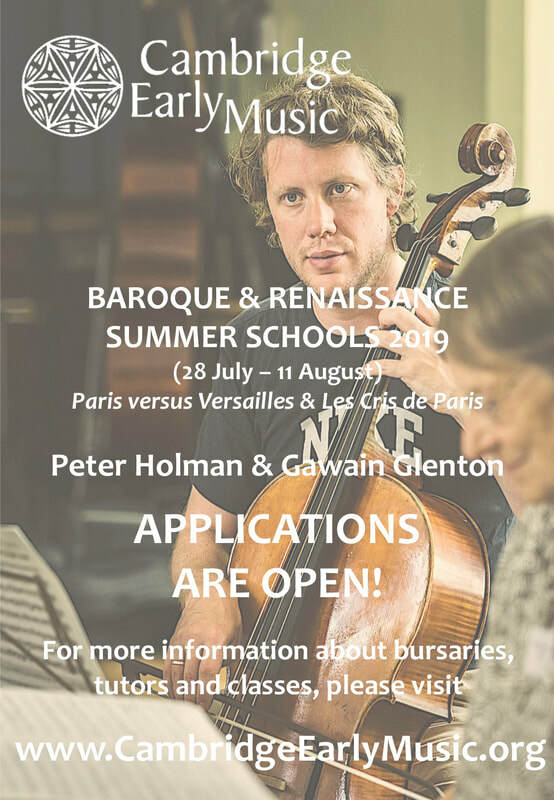 I'm thrilled to have been recently appointed director of the Cambridge Early Music Renaissance Summer School. This year's course will run from August 4th-11th, and promises to be a wonderful and immersive opportunity to sing, play and learn under the guidance of a stellar team of tutors, including Jacob Heringman, William Lyons, Catherine Motuz, Uri Smilansky and Clare Wilkinson. For applications or more information visit www.cambridgeearlymusic.org, or email info@cambridgeearlymusic.org. A limited number of bursaries are available. 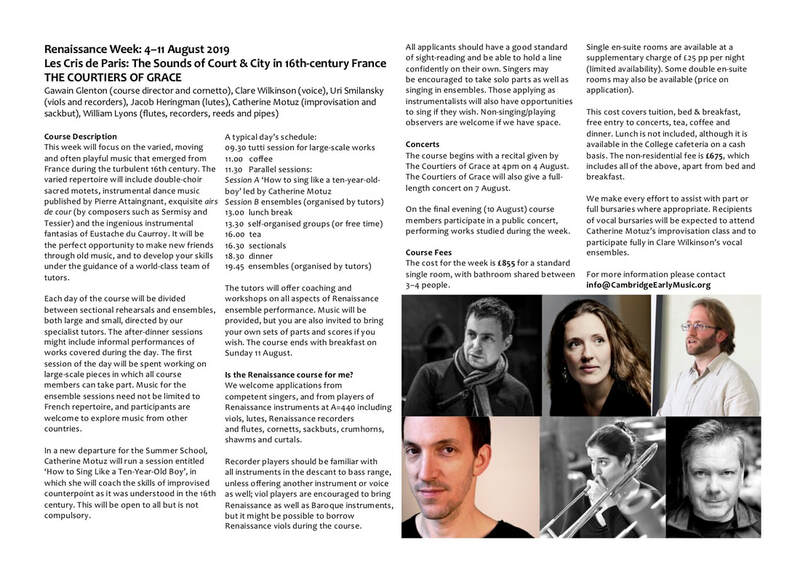 I teach alongside sackbut player Emily White during week one of the annual Dartington International Summer School. Together we run a course aimed at cornetts, sackbuts and singers of all ages and abilities, performing large-scale renaissance music by composers such as Lassus, Gabrieli, de Monte, Merulo and others. This is a beautiful place to teach, learn and be inspired. I'm a co-founder of Sherborne Early Music, an organisation wich runs specialist courses for a wide range of early music instruments. To date we have led cornett and sackbut weekend workshops, study days for voices and viols, hurdy gurdy courses, and have featured composers such as Matthew Locke, William Byrd and Giovanni Gabrieli. Have a look at our website for more information. I am doing more and more of my private teaching online via video calls using Skype or FaceTime. This is a fantastic solution for students from any part of the world and helps solve the problem many aspiring cornetto players have of not having easy access to a teacher in their country. My students and I have so far found this to work remarkably well. Please get in touch if you would like to arrange a taster lesson online. A major feature of my work as a cornetto player has been to research and develop the practice of ornamentation. The ability to ornament fluently and inventively was crucial to both singers and instrumentalists in the 16th and 17th centuries but is a skill too-often left untaught nowadays. I coach ensembles and individuals both vocal and instrumental with a view to developing a variety of skills in this area. My previous background as a singer means I am also well-placed to coach vocalists. In collaboration with Septenary Editions I have recently published a new edition of Giovanni Battista Bovicelli's Regole, passaggi di musica (Venice, 1594). The edition includes a side-by-side English translation of the Italian by Oliver Webber. This fascinating treatise is available to buy here.